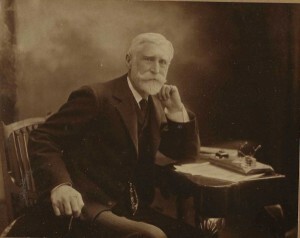 William Martin Murphy, owner of the Irish Independent and the Irish Catholic. Both were violently opposed to the Rising. In the early twentieth century, the newspapers they read defined Irish people. The Anglo-Irish establishment read the Irish Unionist Irish Times. When the Irish Parliamentary Party (IPP) split over Parnell’s relationship with Katherine O’Shea, the paper’s readership split as well. While the Freeman’s Journal went with the majority in opposing Parnell, a minority moved to read the Irish Independent. Abbey Street was the street for mainstream newspapers in Dublin. The Freeman’s Journal was the most conservative, Catholic and anti-Parnellite of popular newspapers. Nevertheless, it was the only newspaper that seemed to accept that responsibility for the riots associated with the Lockout of 1913 could not be laid primarily on the shoulders of Dublin’s hooligan element or its socialists. The Freeman’s Journal was considered the voice of the decidedly non-revolutionary United Irish League and of John Redmond’s IPP. It accepted Home Rule as it was proposed in parliament. Its circulation dropped greatly and it became a weekly after Redmond’s recruiting speech to parliament in 1914. 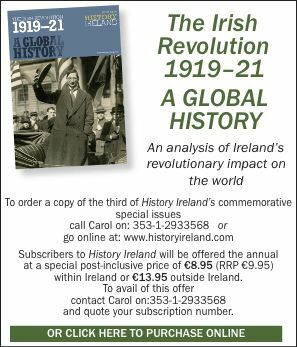 I. Kenneally, Paper wall: newspapers and propaganda in Ireland, 1919–1921 (Cork, 2008).